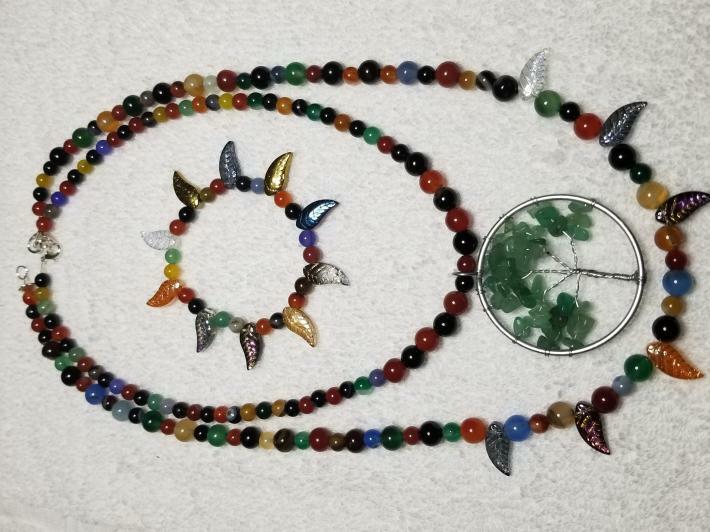 3 piece set includes 2 necklaces and bracelet. Bracelet size 6.5" stretches to 7". Necklaces are approx 19" and 21"